I once had 6 hat tricks in one saeson including the playoffs. I had 4 goals in 4 of those 6 games. Interestingly 3 of the hat tricks came against the Washington Capitals. Do you know who I am? I played 11 seasons in the NHL, totaling 764 games, all but 11 of them were with the Flyers. Although I rank #4 on the Flyers list of games played in a career I have played more games than any other defenseman in Flyers history. Do you know who I am? As Flyers what do Dave Schultz, Don Saleski and Matt Carle have in common? Here’s how it works. you go on the site and Once you’ve voted on the player the current vote result is shown. There have been between 5000 votes cast so far, (you don’t have to vote for every player). Again, just like with the Eagles we found the results very surprising. Here’s the breakdown. There were a total of 26 players listed plus 3 goalies, head coach Peter Laviolette and General Manager Paul Holmgren. Of the 26 “position” players 16 were forwards and 10 were defensmen. Using 50% “stay” versus 50% “go” here is the list of forwards that the Flyers fans feel need to “go” before next season. With only 7.7% of the voters voting “stay” Jody Shelley. Shelley was followed by Tom Sestito with 39.8% voting for him to stay. It seems a little unfair for Sestiton when most fans don’t know who he is. The only other forward with less than 50% of the votes, at 49.2% is James van Reisdyke. Those are three forwards that the fans want to get rid of to get the team over the top. We also found it interesting which order the fans picked their favorite players that they want to stay. Guess what? Claude Giroux was not on top of the list. Follewing is the list with the percentage of “stay” votes, forwards only. Sean Couturier, 97.7%, Giroux, 97.4%, Branyden Shenn, 94.3%, Max Talbot, 94.2%, Matt Read, 92.9%, Wayne Simmonds, 90.1% Jakub Voracek, 91.0%, Eric Wellwood, 88.3%, Danny Briere, 83.4%, Scott Hartnell, 83.4%, Zac Rinaldo, 59.9%, Harry Zolnierczyk, 56.3% and Jaromir Jagr, 54.3%. There you have it for the offense. What do you think? I’m actually pretty surprised. On the blue line there 10 players to vote on and again we were somewhat surprised. The fans have voted to unload four of the 10. The lowest amount of stay votes was Andreas Lilja with 18.2%. He was followed by Pavel Kubina with 18.4%, Matt Carle at 34.0% and Chris Pronger at 42.2%. We’re really surprised that Carle is on this list. He logged the second most minutes by a defenseman in the playoffs and although he had his moments generally played fairly well. For the second straight season Carle has played in every game. He scored 4 goals and added 34 assists with a +4 for the regular season and added 2 goals and 4 assists with a -3 in the playoffs. The results on who the fans wanted to “stay” on defense isn’t quite so surprising. Nicklas Grossman led the way with 94.3% of the vote. He was followed by Andrej Meszaros, 91.6%, Braydon Coburn, 91.5%, Eric Gustaffson, 86.9%, Marc-Andre Bourdon, 76.9% and Kimmo Timonen, 71.6. The take away from this list appears to be that the fans want out with the older players, Lilja is 36 years old, Kubina is 35, Pronger is 37 and injured and Timonen is now 37. As we stated earlier the only surprise is Carle. That brings us to the goaltenders. There were three to chose from. We’re not sure how Michael Leighton made the list but he did. We can’t say we’re shocked but somewhat surprised by the results. The fans pretty much want to get rid of all of the goalies. Sergei Bobrovski is the only one that made the cut with just 50.4% of the voters wanting him to “stay”. Ilya Bryzgalov received 47.0% and Leighton 19.7%. The interesting point on the goaltenders is that Bryzgalov kept the Flyers in the playoffs for the most part. He did allow some bad goals in the high-flying Pittsburgh series but he kept the Flyers in the Devils series in spite of the end result. Without Bryzgalov’s outstanding play it would’ve been far worse. That brings us to the staff, Laviolette and Holmgren. Both received the votes from the fans to “stay”. Holmgren received 87.8% and Lavy 85.4%. Obviously the fans were happy with them. So there you have it Flyers fans, you have spoken. If it were up to the fans the 2013 team will be without JVR, Shelley, Sestito, Pronger, Carle, Lilja, Kubina, Leighton and Bryzgalov. Who will replace these guys and what will the Flyers do to upgrade for the next run for the cup? In this addition of the “View from the Philly Pressbox” we take a look at Game 5 of the Round 2 matchup between the Flyers and the New Jersey Devils in the “Chase for Lord Stanley’s Cup”. In our preview we identified our keys to the series. We will review and analyze these keys and how they affected the outcome of the game. Result: For the second time in the series the Flyers reached our mark of 28 shots on goal, in regulation time, on Brodeur. Unfortunetly it was too little too late. Overall the Flyers played more aggressive, won a few more battles and generated a few more chances, but never threatened in the way we’ve become accustomed to. As far as Brodeur, the Devils made the future Hall of Famers job easy throughout the series. Other than Game 1 he was not challenged much. Obviously, he’s too good to not continue to shoot pucks at him and make him work. Stay Healthy – Like the Pittsburgh series this is expected to be very physical. The difference is that you won’t see the lack of discipline that you saw from the Penguins. The Flyers will be getting a healthy Nick Grossman back for Game 1. This will allow Peter Laviolette to spread the minutes among more defensemen, lightening the ice time of Braydon Coburn, Matt Carle and Kimmo Timonen. Each of these guys played a ton of minutes in the first series. James van Riemsdyk should continue to see more ice time as he gets his legs back under him playing in the last two games of the Pittsburgh series. Result: The Flyers entered the game as healthy as you can at this point in the season. Sean Couturier saw his regular amount of ice time, although he didn’t spend as much time on the penalty kill as he normally does after his injury in Game 3. Andreas Mesazaros made his long awaited return, logging 19:26 seconds of ice time, and unfortunately, it wasn’t pretty. Mesazaros looked slow against the fast Devils and continually turned the puck over. Granted this was a difficult situation to return to the lineup and be expected to be a major contributor after sitting out for such a long period of time but Meszaros did not answer the call. Result: The Flyers had only one power play opportunity in the game and only three in the last two games. The Devils continued to play well-disciplined, solid hockey. As we said throughout the series, the Flyers needed to win the series in 5-on-5 situations and they couldn’t do it. For the series the Flyers were 3-19 on the power play, 15.8%. Defensively, the Flyers were called for 4 minor penalties and the Devils converted one of them, that ended the season, at the 15:00 mark of the 3rd period when Kovalchuk rifled a shot passed Bryzgalov. The Flyers had survived two 2nd period penalties on Hartnell and Zac Rinaldo but couldn’t overcome the stupid holding penaly by van Reismdyk. The Flyers were fighting for their life, trailing only 2-1 with 5:00 remaining in the game, when JVR grabbed a Devil while on the way to the bench for no reason and then looked confused that the penalty was called. It was a stupid play and the resuting power play goal ended any chance that the Flyers had. The Devils finished the series 4-18 on the power play, 22.2%. Result: The Flyers came out and played hard but again had no answers for the Devils. Rinaldo provided some much needed energy, although, it was just a matter of time until he was called for a penalty. He led the team with 6 hits in only 8:43 of ice team. The lose of Giroux may have hurt as far as needing a big playmaker, however, he was pretty much a non-factor throughout the series. Overall the Flyers had 8 players contribute goals. Briere was the leader with 3 and Giroux with 2. They also had 12 different players contribute assists with Vorucek leading the team with 3. Result: After getting hit with 31 shots in Game 3, Bryz faced 43 more in Game 4 and another 30 in Game 5, 23 in the first two periods. Bryz played well overall, although his huge blunder that allowed David Clarkson’s unassisted goal, proved to be the game winner. A monumental error! For the entire series Bryz was the Flyers best player. If he hadn’t played so well, most of the time, the series would’ve been even uglier than it was. Not only would the Flyers have not scored much they would’ve been blown out on the other end. Bryz still has a lot of work ahead of him in order to be the consistent goaltender the Flyers need to win the cup. Prediction – Well our prediction was dead wrong. I would’ve never thought that any team could dominate the Flyers over a series the way the Devils did. The Devils beat them in every phase of the game. Hats off to them! The Flyers lacked continuity in every game. Their lines never seemed to mesh and their defensive pairings struggled the entire series with turnovers and getting the puck out of the zone. There was never a game where the team was in cinque and passing from tape-to-tape. The passes always seemed a little ahead or a little behind or jumped over somebody’s stick rather than being controlled. The most disappointing part of the series is that the Flyers either never adjusted or the Devils were just that good. That falls on Laviolette. He’s an intense guy and a tireless worker as a head coach but he didn’t get the job done in this series. When you’re team gets beat the same way night after night as the head coach you must figure out a way to adjuest, that didn’t happen. There’s an old saying attributed to Joe Paterno that says, “you’re never as good as you think you are when you win and you’re never as bad as you think you are when you lose”. Thatpretty much sums up the Flyers two playoff series. Hopes were so high after the Pittsburgh series that the Flyers were so good and so low after this series because they played so bad. In reality they’re probably somewhere in the middle. In this addition of the “View from the Philly Pressbox” we take a look at Game 4 of the Round 2 matchup between the Flyers and the New Jersey Devils in the “Chase for Lord Stanley’s Cup”. In our preview we identified our keys to the series. We will review and analyze these keys and how they affected the outcome of the game. Result: The Flyers offensive, well and defensive, effort in Game 4 was an embarrassment. They managed only 22 total shots on Brodeur, 7 in the 1st period, 5 in the 2nd period and 10 in the 3rd period. The Flyers not only continued to struggle against the Devils tight checking, they actually seemed to have gotten worse. They couldn’t get the puck out of their own zone to create offensive chances and when they did they were being beaten along the boards on a continuous basis. Several Flyers appeared to get out muscled on a regular basis, one being Eric Gustaffson. He has been pushed around in the last two games in a bad way. Not to single out the rookie, Brayden Coburn, Matt Carle, Nick Grossman and Kimmo Timonen all had their problems with turnovers. Honestly, it looked like the Devils were on the power play the entire game. The Flyers have only managed 28 shots in a game in this series one time in regulation, Game 1, and they won the game. Martin Brodeur may be the greatest goalie to have ever played the game and you won’t beat him, even at 40 years old if you don’t consistently put pressure on him by shooting the puck. Result: Sean Couturier was deemed ready to go after the morning skate. This appeared to be good news for the Flyers especially in the penalty kill area. As it turned out Couturier saw only 7:08 of total ice time for the game. Only Eric Wellwood played less. If Couturier couldn’t go he shouldn’t have played. If he could go he should’ve been on the ice more. Max Talbot, Claude Giroux and Matt Read were the forwards used mostly on the penalty kill and they did a nice job with Giroux scoring with the assist from Talbot. There was still no Andreas Mesazaros siting. With possibly only one game left in the series it may be best not to risk Mesazaros at all during this series. Result: The Flyers only had two power play opportunities and scored on one of them, Scott Hartnell from Giroux and Timonen for the first goal of the game. The Devils would not allow themselves to be baited in to penalties while playing well-disciplined, solid hockey. The Flyers relied heavily on the power play in the run-and-shoot series with the Penguins but the Devils would have none of that. To beat the Devils it needed to be done 5 on 5 and the Flyers have not been up to the task. The 1-2 power play in Game 4 makes the Flyers 3-18, 16.7%. Defensively, the Flyers frustration and lack of discipline made them look like the Penguins. The goalie interference against Hartnell was a weak call, at best. The Giroux penalty, for hitting Danius Zubrus with a deliberate shot to the head, was uncalled for, and has resulted in a one game suspension. It’s the same garbage that Flyer fans got all over the Penguins for. Giroux is much to good of a player to resort to that. Overall, the Flyers were called for 5 minor penalties with Petr Sykora converting one of them, at the 15:14 mark of the 1st period, that brought the Devils, and their fans, back in to the game. The last Flyers penalty on Timonen with only 3:36 remaining in the game and trailing by a goal was another crusher. It was nothing more than a tired penalty by Timonen, who got beat and had to hang on and hope the referee didn’t make the call. He did. The Flyers could not afford to be shorthanded as the game clock was running down. The Devils are now 3-14 on the power play, 21.4%. At the end of the night, being shorthanded 5 times against a team that commits just 2 penalties will get you beat. Result: The Flyers are in big trouble. Their overall work ethic, hustle and determination are being questioned. That is the ultimate insult to an athlete. We don’t think that the hustle is a problem as much as not winning any battles. The Devils seem to always have five players in the Flyers offensive zone against three Flyers and when the puck goes back to the blue line the Flyers defense is retreating rather than forcing the play back in to the offensive zone. The Devils are breaking out and creating odd man rushes against the two defensemen. There seems to be a great deal of uncertainty among the defensemen on what to do, push forward or drop back. As we stated after Game 3, we’re not big on constant changing and mixing up of the lines looking for something that will click. Although no one has been a standout the lack of continuity seems to be hurting the Flyers. Result: After getting hit with 31 shots in Game 3, Bryz faced 43 more in Game 4. The Devils came out flying again and fired 16 shots in the 1st period and 16 more in the 2nd. Bryz kept the Flyers in the game with the Devils leading just 3-2 after two periods but being out shot 32-12. Bryz continued to hold down the fort in the 3rd period while facing another 11 shots without giving up a goal. Due to Bryzgalov’s play the Flyers actually had a chance to tie the game, and possibly win it, until Zubrus scored his empty net goal with :45 remaining in the game. Bryzgalov takes none of the blame for this lose, Without him playing as well as he did the Devils could’ve won this one by a touchdown. Prediction – Well, we will never pick the Flyers to lose until the last second ticks off the clock of the final game but it sure doesn’t look good. The one game suspension to Giroux will only make the upward climb even more difficult. Other than the play of Bryzgalov there isn’t much good to say about this series. We expected a much better overall effort from the Flyers. We expected to see game by game improvements to attack and counterattack the opposition and we haven’t seen any of that. Have the Flyers been out coached or just outplayed, or both? We expected another great series from Giroux and we haven’t seen much. To say we’re disappointed is putting it mildly. We have to take our hats off to the Devils for dominating in every facet of the game and series. With that said, the series is not over and we’ll get to see what this Flyer team is really made of. Will they bounce back and win Game 5 to play another day or will they come out and be frustrated goons running at players and spending the game in the penalty box? Our prediction is still that the Flyers will win the series in seven games. Am I dreaming? In this addition of the “View from the Philly Pressbox” we take a look at Game 3 of the Round 2 matchup between the Flyers and the New Jersey Devils in the “Chase for Lord Stanley’s Cup”. In our preview we identified our keys to the series. We will review and analyze these keys and how they affected the outcome of the game. Result: The Flyers continue to struggle against the Devils tight checking. They are being beatin in the battles along the boards on a continuous basis, as a result they are not getting the shots on Brodeur. In Game 3, the Flyers managed 28 shots, but it took them nearly four periods to get them. At the end of regulation they had only 22 shots, with just 6 coming in the 3rd period when they needed an offensive push. Obviously, this isn’t good enough to beat Brodeur. Lastly, the Flyers seem to have reverted back to the old “dump and chase” style of years gone by. Even when they control the puck in their own zone they’re able to eat up time but not generate shots. Credit goes to the Devils defense and shot blocking, however, for the Flyers to win this series they need to solve the Devils and get their shots on Brodeur. Result: We have waited to post this article to provide the latest update on Sean Couturier, and it doesn’t look good. As of Sunday morning it seems doubtful that the standout, rookie center of the checking line, will not be ready to go. This will be a huge lose for the Flyers. Couturier had done a good job on Ilya Kovalchuk in the first two games. Once Couturier left Game 3, Kovulchuk responded with a goal and two assists. Couturiers replacement will likely be the penalty machine, Zac Rinaldo. Rinaldo brings energy that may help in other areas, but he does not bring a defensive game and cannot hurt the team with needless or over aggressive penalties. It does not appear that Andreas Mesazaros is ready to play yet, although all indication are he is getting closer to returning. The Flyers have been mum on his return. Result: The Flyers were 1-5 on the power play in Game 3 and are now 2-16 for the series. The Flyers brought a scorching hot power play in to this series and now that strength has become a weakness. The Flyers did get on the board first with a Brayden Shenn power play goal at 6:08 of the 1st period with assists to Briere and Jagr. The Flyers had two golden power play opportunities in overtime but couldn’t get the job done. Obviously, to extend the series the Flyers need to straighten out the power play, and quick. Defensively, the Flyers did a great job of staying out of the penalty box. They were only whistled for two minor penalties. Unfortunetly, one of those led to a power play goal by Patrik Elias that tied the score 1-1 in the 1st period, 20 seconds later Kovalchuk scored and the entire complexion of the game changed. The Devils are now 2-9 on the power play. Overall, the Flyers are doing a good job in this area. Result: The Flyers are now struggling to get any participation they seem out of cinque in nearly all facets of the game. Lavy has made the decision to continue to change and mix up his lines looking for something that will click. We aren’t a believer in this unless nothing else works. The Flyers seem to be trying to find match ups with the Devils instead of forcing the Devils to find match ups for the Flyers. The lack of continuity seems to be hurting the Flyers. Result: Bryzgalov played well in Game 3. He faced 31 shots in all, 1 in the 1st period when the Flyers were on their heels and he held his ground. The power play goal by Elias and Kovalchuk being left alone coming down the slot were unstoppable. Entering the series it seemed that Bryzgalov’s inconsistent play would be critical, as it’s turned out the Flyers getting beat in battles on the boards has been the story of series. Bryz may still need to steal a game before the series is over. Prediction – Obviously we were not right on our prediction of the Flyers in 5 games. We do feel they must accomplish the keys that were identified in order to win. Our biggest surprise in the series is the Flyers inability to win battles. Toughness has always been a Flyers trademark and they need to get it back. They must get more shots on Brodeur if they’re to win this series. We’re believers that Game 3 is alway the most critical game of a series because it’s often the swing game as this one was. Advantage Devils. For the Flyers, obviously, Game 4 is the “must” game. 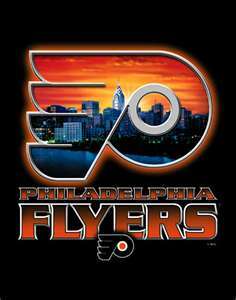 Our feeling is that the Flyers will respond with a big Game 4 that will put them back even and gain the home ice advantage back. It was easy to think the Flyers were going to dominate this series after the offensive fireworks in the Pittsburgh series. We can all agree that the Flyers have not adjusted to this tight checking series very quickly, yet Game 3 could’ve gone either way and the Flyers could very well be ahead 2-1 rather than behind 2-1. The Flyers must dictate the pace of the game and get more than a one goal lead that they can hold on to. Lastly, if Couturier can not go they will need someone, likely Read or Giroux, to step up and shutdown Kovalcuk. We expect big efforts from the veteran leaders, Briere, Hartnell, Jagr, Timonen and Coburn tonight and for the Flyers to win. Our prediction is still that the Flyers will win the series but it will take seven games with none more important than tonight.